Good news solb eaters, our favourite Mang Inasal, home of the country’s No.1 Chicken Inasal, will once more celebrate Filipinos’ love for its great-tasting grilled chicken on January 26. “It’s our treat for solb eaters out there – those who love to indulge in Mang Inasal Chicken Inasal the way they want to – that is, with their bare hands, with unli rice, or doused with their favorite mix of condiments. 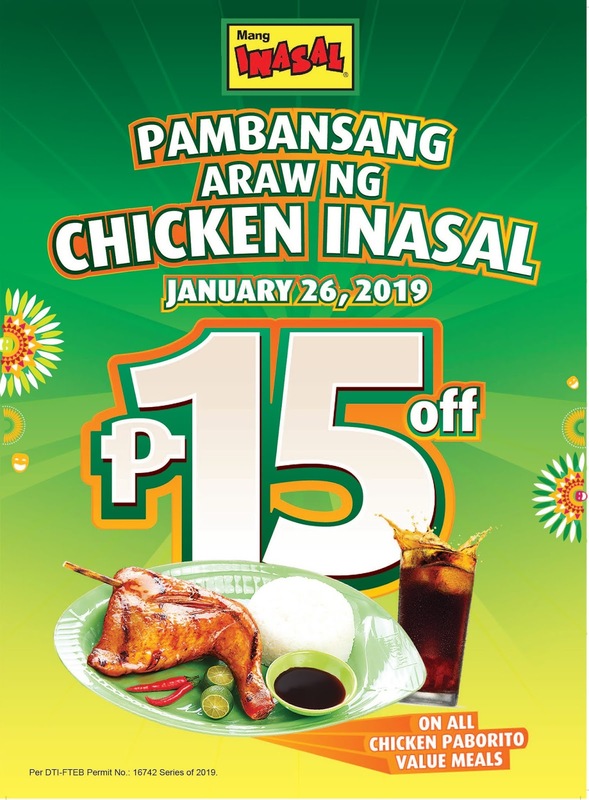 They can enjoy the 2-in-1 sa Laki, Nuot sa IhawSarap Chicken Inasal with their family and friends at an even greater price for one day only,” said Mang Inasal Brand Manager Schubert Quilinquin.